ALOHA! I’ve had the cool opportunity to partner up with the Coconut Bowls Company to get creative and design a bowl together! I love supporting businesses that encourage sustainability and support an overall healthy message. 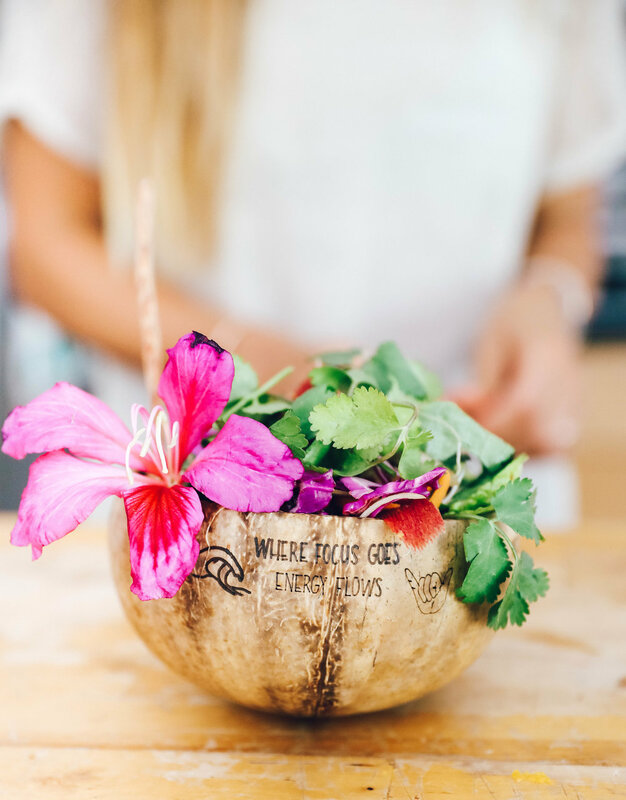 Coconut Bowls not only encourages sustainability but their business is built on 100% recycled coconut shells that have been reclaimed and made into beautiful bowls. I use these bowls almost everyday, so when Coconut Bowls asked if I wanted to design my own bowl I was super excited. I chose to put one of my favorite quotes on the bowl as a daily reminder of how the energy I put out into the world is what I will receive back in return, "Where The Focus Goes, Energy Flows”. Something I thought would be cool when we designed the bowl is to have it be JUMBO size. These bowls are epic for a nice big salad or smoothie bowl, house decor, actually for anything really! To view the bowls and learn more click here: Coconut Bowls. My hope is that it makes you smile every time you look at it or eat a delicious meal from it! 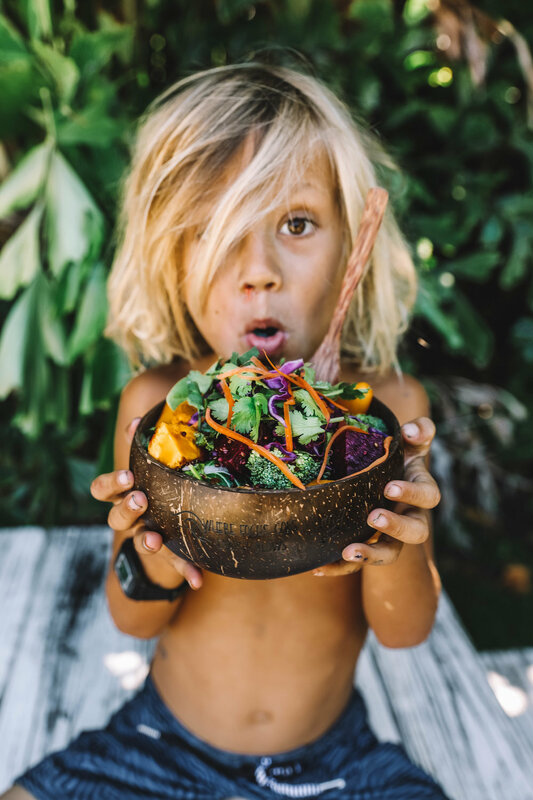 I hope this special bowl reminds you every day how so very special you are and how amazing it is that we all have the power to create and see life the way we wish too! You my friend are the creator of your destiny! That’s power! Where the focus goes energy flows baby!